Jazz Festival, a stunning book of photographs by Jim Marshall, follows previous compilations of his work including not fade Away and Jazz. Featuring more than 300 images, most of them taken at the Monterey Jazz Festival during 1960-1966 (as well as one chapter of shots from Newport Jazz in 1963), it’s well designed and printed, a coffee table book as weighty as its subject. Primarily a black-and-white shooter, Marshall was dedicated to his Leica Rangefinder, which enabled him to better frame and compose his photos. “When I shoot in black-and-white I always print the full negative with no cropping,” he writes in Not Fade Away. We can see Marshall’s unique eye for composition throughout this sumptuous 300-page collection. Marshall, perhaps most famous for his intimate and iconic images of the 1960s rock scene in the Bay Area, also documented a lot of jazz artists and events, particularly during his early career, and he was a regular at the Monterey Jazz Festival. Monterey, like the Newport Jazz Festival, has historically provided a scenic backdrop for photographers, and Marshall benefits from the natural light and rustic backgrounds of both locations. However, his best work captures “the hang” and the communal quality of a jazz festival and its audience. The book includes forwards by former President Bill Clinton and the late Nat Hentoff. The latter digs into the racial and social politics of the time to illustrate just how revolutionary Marshall’s images were, given the casual interracial interaction he frequently portrayed. Indeed, the image used for the book’s cover shows Miles Davis whispering into the ear of a smiling Steve McQueen—as if sharing the punch line of a dirty joke. The book abounds with powerful intimate moments like that, from a wide-eyed Allen Ginsberg listening to Monk talk, to Lou Rawls lighting a cigarette for Big Mama Thornton, to Zoot Sims and Stan Getz seemingly locked in a staring contest. “When I am photographing people, I don’t like to give any direction,” Marshall wrote about his approach. The book contains plenty of live performance shots, but those aren’t necessarily that distinctive or stylish. It’s the backstage setting that provides Marshall with a canvas to capture artists in revealing moments of intense collaboration or even utter boredom. 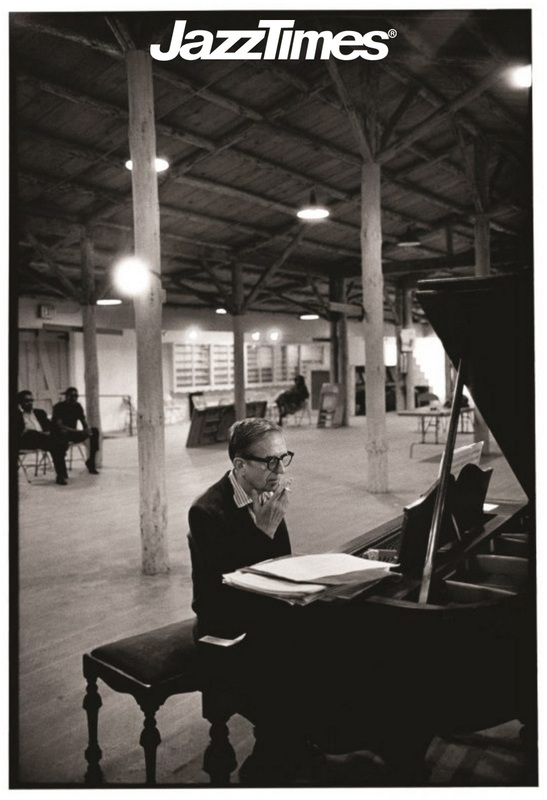 His journalistic view offers fascinating glimpses of seminal artists like Duke Ellington and Gil Evans working on their music in backstage rehearsal rooms. Marshall also loved to photograph the fans, and his images of the crowd show us what a jazz festival audience looked like before rock and roll and the youth movement turned it all on its head. From the varied sartorial splendor of Dizzy Gillespie to the parade of cool hats, hairdos and shades of the fans, we get a fix on a specific time of fashion, which might now best be called the Mad Men era. As the book moves forward chronologically, the hair gets a little longer and things get a little freakier on and off the stage. We even see some rock figures (e.g., Jefferson Airplane, Paul Butterfield) making their way onto the bill of the jazz festival. Of course, it would only be a few years later that Jimi Hendrix would make history with his incendiary performance at Monterey Pop. There aren’t any essays or explanation from Marshall (who died in 2010) in this book. Generally not fond of self-analysis, he felt that the photos should speak for themselves. And they do, loud and clear.